Scoliosis is the condition of having a curvature in the spine. While there are different degrees of scoliosis, it still can greatly impact daily activities such as walking, range of motion, breathing, and sleeping. 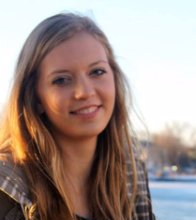 The most frustrating part being: there’s no known cause for scoliosis. This curvature in the spine can cause extreme discomfort or pain while trying to get comfy for a good night’s sleep, and staying asleep. Support: Finding a mattress that has a dense support layer for your back is key to finding a mattress to alleviate pain. Without a great support layer your body will have to support itself, and is more prone to pain on pressure points. Cushion: The mattress must be comfortable. If the mattress is not comfortable when you lay in it, you aren’t going to have a restful sleep. Cooling: Many of these mattresses have a cooling layer, which can help relieve pain and discomfort while sleeping. This can also keep you asleep throughout the night. Conform: Mattresses that contain adaptive memory foam to conform to your body are great for those with scoliosis. This will alleviate pain on pressure points and give your partner a great night’s sleep as well! This adaptive foam mattress is constructed to give the support needed for all back pain. The adaptive foam works to provides comfort and also relieves pressure points in your back that may be caused from surgeries or a curvature of the spine from scoliosis. This adaptive foam is made to give the feeling of a soft mattresses, but without the feeling of sinking like most memory foam mattresses. While comfort is the main component when alleviating pain, support is important to keep the comfort lasting. 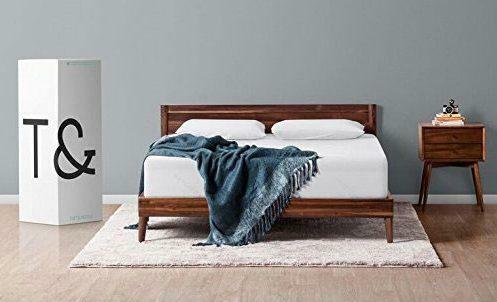 This Tuft & Needle Full Mattress has a 7-inch layer of support that creates the ideal base for comfort all night long. It’s made with heat wicking graphite and cooling gel to combat the heat sustained in memory foam mattresses. It also comes with a breathable cover to keep you cool at night! 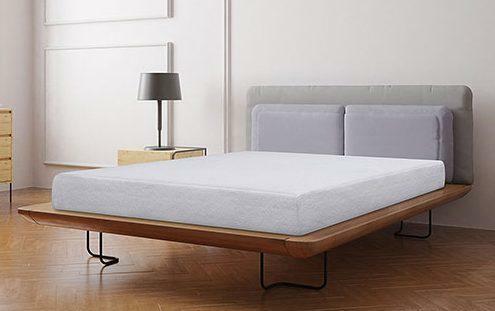 This mattress is made to perfectly contour your body. With 7.5 inches of a high density performance core support base, it works to give the support your body needs. Leave and Sleep knows that those with scoliosis need support that will conform to the curves of their back, as well as their partner’s body. 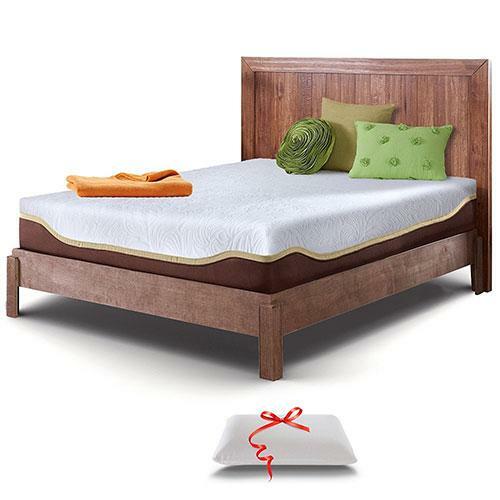 The Leave and Sleep Resort Classic is made of 2.5 inches of premium responsive memory foam. As it’s support layer, this layer gives the feeling of a relaxing hug while alleviating pain. It’s cooling infused memory foam subsides pain from areas in the back by cooling the mattress. It comes with a breathable cover that can be removed and washed, while also providing soothing fabric over the mattress. Just like the Leave and Sleep Resort Classic Mattress, this one is made to mold. It’s built with body-conforming memory foam that relieves pressure points on the back or side for those with scoliosis, and those without. Once it feels the temperature of your body, the mattress molds to the shape of your body, allowing your weight to be distributed evenly across your back. The bottom layer contains 4 inches of high density foam that allows to fully support your body and back. The next layer contains 2 inches of ventilated cooling foam that creates a more breathable mattress and avoids overheating. The last thing sufferers of scoliosis need is discomfort from the temperature of their mattress. The last layer is 2 inches of memory foam infused with active charcoal to maintain the freshness of the mattress while controlling odor. This cooling mattress leans more towards the firmer side for scoliosis sufferers that like to feel the support of their mattress. The Live and Sleep Resort Elite also has more layers of memory foam to make sure your back pain isn’t waking you up at night. At the bottom, it’s made of 7 inches of high density performance core support base. This support base makes the mattress more durable and provides more memory foam to balance the weight of your body, while not placing pressure on sore areas such as the back, hips, or shoulders. The next layer has ½ inch of gel infused cooling memory foam to regulate temperature for a cooler night’s sleep. The top layer is made of responsive memory foam comprised of 2.5 inches that conforms to your body. Whether you have scoliosis, fibromyalgia, or past surgeries the memory foam will adjust to your body for better sleeping comfort. Why memory foam mattresses for scoliosis? Memory foam mattresses are great for those that have injuries, chronic pain, or soreness. These mattresses are especially great for those with scoliosis because they can relieve pressure on the back. One way memory foam mattresses do this is by providing many different layers of memory foam. 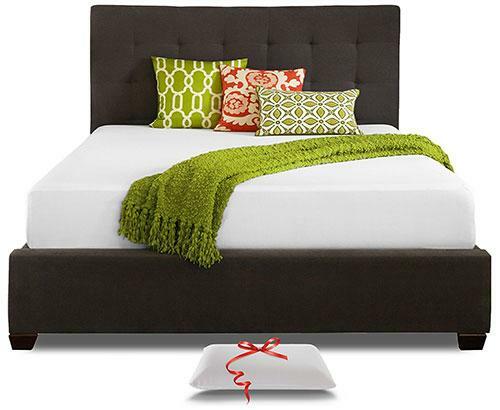 Unlike mattresses with coils, memory foam is extremely delicate. However, it can also produce the same support that many people associate with coil mattresses. With a support layer, a cooling, and top layer of memory foam that conforms to your body, memory foam mattresses are great for scoliosis sufferers. At the end of the day, the mattress you pick should alleviate your pain enough to give you a good night’s sleep. Ideally this should be around the recommended 6-7 hours. If you are waking up during the night from your pain, or waking up in the morning to your pain, then your mattresses isn’t the right mattress for you. Invest in your mattress, and you’ll be making an investment in your health!